Prof. Akua Kuenyehia, a retired judge of the International Criminal Court at The Hague in the Netherlands, says the peace in Ghana will be transient if the people do not work hard to reduce the level of corruption in the country. 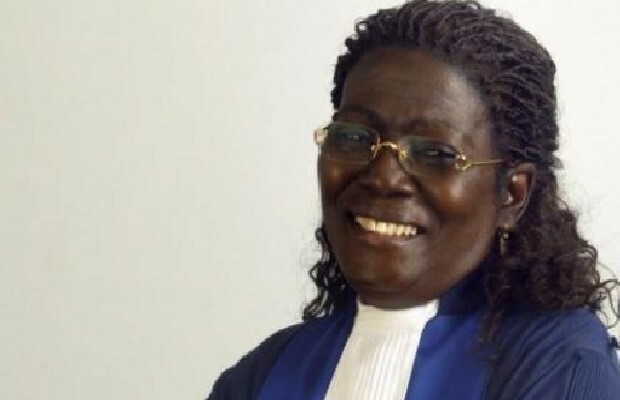 According to the retired judge, Ghana needs to have low levels of corruption in order to attain sustainable peace. Speaking at the maiden annual peace lecture of the Rotary Club of Accra-West, which is in collaboration with the Institute of Democratic Governance (IDEG) in Accra on Wednesday, Prof. Kuenyehia stated that corruption would destroy the nation if the citizenry fail to do something about it. “Corruption is a canker that will destroy us as a nation if we don’t do anything about it. You can talk all the peace you want but if you don’t deal with corruption, you are not going to get any peace or the peace will only be transient. As a nation, are we prepared to face corruption? For sustainable peace in this country, we need to have very low levels of corruption. When you have low levels of corruption then you have a chance of making progress,” she said. She added that corruption was a serious issue that Ghana and Africa as a whole must handle carefully. “How do we correct some of these things? Unless we correct some of these nitty-gritty things, the peace that we are looking for sustainable development will elude us, and are we ready to sit in the same place marking time while other countries make progress around us? I believe that these are very serious issues that we need to look at,” the President of MountCrest University College said. She however added that despite the corruption that has engulfed the country, Ghana was an oasis of peace in the mist of turmoil in the sub-region and the African continent as a whole. Prof. Kuenyehia also indicated that peace was one of the factors that attract investors into the country, adding that anything that would disturb the peace of a country would affect its economy as well. She urged Ghanaians to work hard to minimize factors that could inflame passions and spark violence in the upcoming elections slated for November 7. “This is an election year and therefore the mantra is peace, we should avoid election violence or anything that will disturb the peace of this country. I believe with the current economic conditions and lack of transparency in most cases, we should be very careful touting how peaceful we are and as we move towards the election month of November, each of us has an obligation to make sure that we try and minimize some of these factors that heighten disagreements. If you don’t do that, this is the kind of thing that could easier trigger violence,” she stated. Meanwhile, Amos Amankwah, Rotarian President of the Accra-West Rotary Club, has said that the peace lecture would become a reference point on the Ghanaian calendar to serve as a reminder for individuals. The event brought together various personalities including former First Lady, Nana Konadu Agyeman-Rawlings, Eva Lokko, former PPP running mate, Prof Atukwei Okai, Vitus Azeem, Hackman Owusu Agyemang, La Mantse Nii Kpobi Tettey Tsuru III and Lt Col Eric Aggrey Quarshie, of Ghana Armed Forces PR Directorate, among others.